The Guerrilla Painter Campaign Box mounts on almost any standard camera tripod. 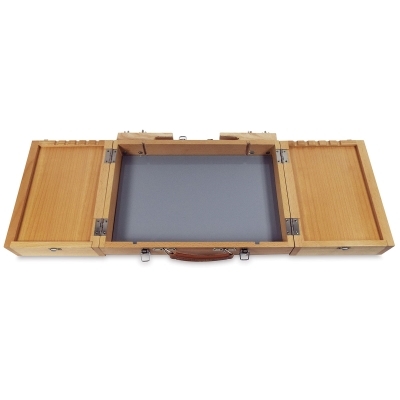 It's a great alternative to a traditional French easel or pochade box. It provides lots of work and storage space when you’re painting out of the studio. 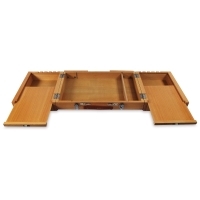 There's a large center area for your palette, two storage compartments under slide-out palettes, and handy brush rests. The center area includes a movable divider to better accommodate your supplies. 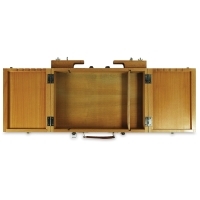 Latches on the front and back keep the box closed while you're on the move. 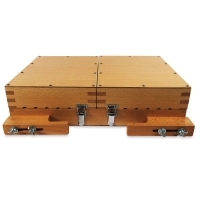 The Campaign Box easily attaches to the legs of your tripod with adjustable clamps. Tighten the hardware to adjust the height. The angle of the legs keeps the box secure. 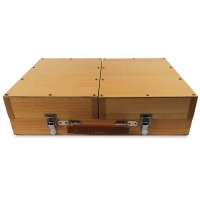 Excellent for plein air painters, the Guerrilla Painter Campaign Box weighs 5.1 lb. 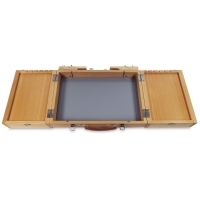 When open, the wooden box measures 31½" × 10" × 2" (not including mounting clamps). It's 16" × 10" × 4" when closed. Some assembly required. 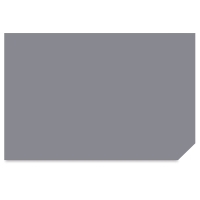 Campaign Box Palette — Upgrade the main compartment of your Campaign Box with this neutral gray acrylic palette. It measures 9-1/2" × 14-3/4" × 1/8". ® Guerrilla Painter is a registered trademark.™ Campaign Box is a trademark.